Mark Geragos has been named as a co-conspirator to Michael Avenatti in allegedly trying to extort the company earlier this week. Celebrity lawyer and CNN commentator Mark Geragos has been named co-conspirator in the indictment of Michael Avenatti. The two allegedly tried to extort Nike for over $20 million dollars earlier this week, according to WSJ. Gergaos is one of the lawyers leading Jussie Smollett’s defense team after police charged the actor for filing false police reports and claiming he created a false hate crime incident earlier this year. 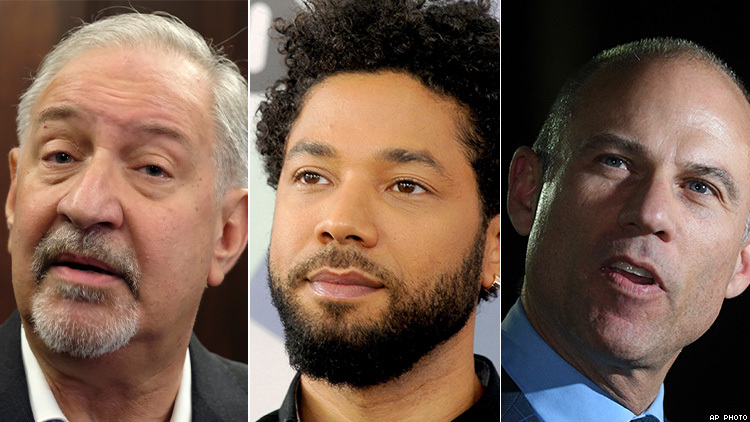 The well-known celebrity lawyer joined the embattled Smollett’s team after public opinion swayed from support to complete distrust of the actor when police announced charges against him. Geragos and Avenatti allegedly met with Nike representatives just last week and demanded that they pay them millions of dollars. If they didn’t, the two men would hold a press conference where they’d intentionally aim to hurt the publicly traded company’s reputation in hopes of dropping its stock value. Avenatti announced on Monday via his personal Twitter that he would be "holding a press conference to disclose a major high school/college basketball scandal perpetrated by Nike.” Charges were filed shortly after this tweet and Avenatti was immediately arrested. Geragos is listed in the court filings and has not yet commented on the incident. CNN moved swiftly to fire the commentator, according to the network. And Smollett’s lawyers told The Advocate that they will not be commenting at this time.